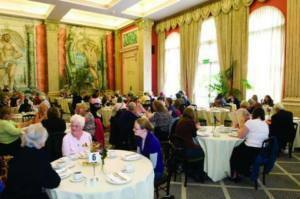 Last week, the Knitting and Stitching show was on at Alexandra palace from the 5th to the 9th of October. Norwegian knitting sensations, Arne and Carlos opened the show that 10am on the Wednesday of the 7th of October. Not only was there hundreds of craft – based retailers to browse (or treat yourself in), there were around 200 workshops available to take part in! Including dressmaking, knitting, crochet, sewing, quilting and more, whether you wanted to learn something new or brush up on old skills. 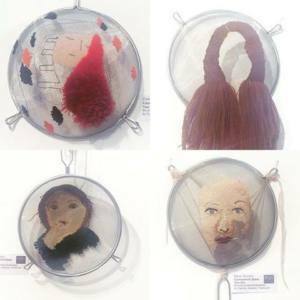 One exhibitor that caught our eye was the RSN degree stand with their embroidered sieves, turning a conventional kitchen utensil into unusual, contemporary textile art. For those who needed a break from the crowds, there was a tea room located in the stunning Londesborough Room, serving breakfast, lunch and afternoon tea. Overall the atmosphere of the Knitting and Stitching show at Alexandra Palace this year was exceptional, we can’t wait for next year! Please sign up to our mailing list today.